As we count down to the next annual Red Bull Ride My Wave competition in Arugam Bay, Eastern Province, Sri Lanka, the local team have been keeping a close eye on the JBAY Open. As many of you will know by now, the final heat of the South African competition was cancelled yesterday after a shark tried to attack triple-world-champion Mick Fanning. Finalist Julian Wilson was also in the water and looked on in horror as the huge human predator circled Mick. Wilson even started to paddle over to Fanning to help defend against the shark. Luckily, both competitors were unharmed but understandably highly emotional after the events. They take equal shares in the prize but the reported comments demonstrate that the only thing that matters to each of them right now are their lives. Here in Sri Lanka, we have no sharks in the water, certainly not close to the land, and not any who threaten surfers in the water. The main threat to the upcoming Red Bull Ride My Wave competition is the current lack of swell in the Indian Ocean and the lack of scope to run the event over a broader time span so that the best conditions can be chosen. Even if the waves are still small, with just three days to go before the next surfing competition in Sri Lanka, the excitement is building. For future, it would be wonderful to see the World Surf League including Sri Lanka on its map as a shark-free haven for surfers of all denominations. To check out the home of surf in Sri Lanka’s wild East, contact Upali, ABAY’s Main Point hub and home of Asanka Waduga Laurance, Sri Lanka’s reigning surfing champion. 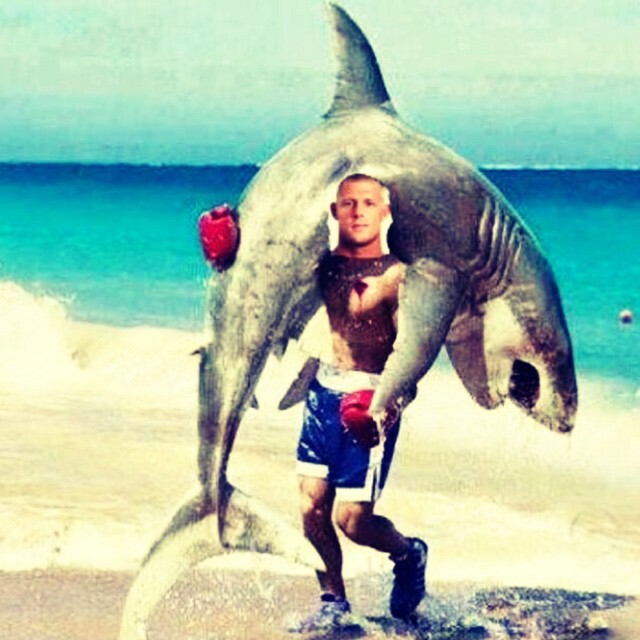 Visit the World Surf League for coverage of the JBAY Open and reports on the close call Mick Fanning had yesterday with that shark.